Alexander, Arkansas (March 19, 2019) – During CinemaCon 2019, DigiCine and Power Technology will host a joint demonstration of innovative solutions that breath new life into existing projection equipment. Both solutions allow theater owners to delay the purchase of a new projector and extend the life of their existing projector.Using DigiCine’s media servers and Power Technology’s Illumina light source, visitors can experience the most modern content DCP’s delivered to an older Series 1 projector. The same projector will demonstrate how laser illuminated projection can be applied to older projectors as an upgrade. A special panel discussion will be held on Wednesday, April 3 from 2PM to 3PM and will be moderated by Patrick von Sychowski from Celluloid Junkie. Thought leaders will discuss “How to stretch your investments in booth hardware”. Panelist will include Mark Collins with Harman International (formerly Marcus Theater’s Director of Projection Technology), Mark Louis, Senior Director of Presentation at Alamo Drafthouse, and Thomas MacCalla, Partner at Convergent. CinemaCon is held annually at Caesars Palace in Las Vegas, Nevada. This year’s event will be held April 1-4, 2019. “As an upgrade to existing cinema projectors, the Illumina laser light source offers RGB laser performance without buying an entirely new projector.” said Walter Burgess, VP of Power Technology’s cinema division. 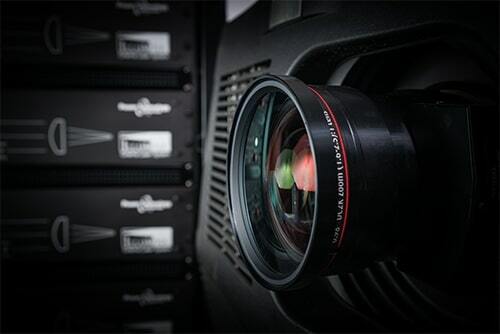 Both the media servers and the laser light source integrate with Barco, NEC and Christie projectors. The Illumina light source is also compatible with Sony cinema projectors. For the CinemaCon demo, studio content has generously been provided by Warner Brothers. Godzilla, King of Monsters will be the featured cinemagraphic content. Content from The Lego Movie 2 will demonstrate the range of vibrant and dynamic colors that can be generated with laser illuminated projection. Additional content will feature difference performance aspects of the Illumina laser system. Ongoing demonstrations will be held Tuesday 11AM – 5PM, Wednesday 9AM – 5PM and Thursday 9AM -12:30PM. Walk in anytime. As a courtesy/convenience to CinemaCon attendees, demonstrations will be running continuously and attendees are encouraged to stop in any time. The demonstration is located in the Sorrento room (Promenade level) just down the hall from Milano 1 and Millan IV.